FACT CHECK: Was Donald Trump's Inauguration the Most Viewed in History? Was Donald Trump’s Inauguration the Most Viewed in History? White House press secretary Sean Spicer said that Donald Trump's inauguration was the most viewed in history, but that claim is unsubstantiated. Donald Trump's 2017 swearing-in was the most viewed presidential inauguration in history. We do know a few things, so let’s go through the facts. We know that from the platform where the President was sworn in, to 4th Street, it holds about 250,000 people. From 4th Street to the media tent is about another 220,000. And from the media tent to the Washington Monument, another 250,000 people. All of this space was full when the President took the Oath of Office. We know that 420,000 people used the D.C. Metro public transit yesterday, which actually compares to 317,000 that used it for President Obama’s last inaugural. This was the largest audience to ever witness an inauguration — period — both in person and around the globe. Even the New York Times printed a photograph showing a misrepresentation of the crowd in the original Tweet in their paper, which showed the full extent of the support, depth in crowd, and intensity that existed. Rather than of examining each individual claim that Spicer made during the press conference, this article will analyze his overall point: that Donald Trump’s inauguration was witnessed by the largest audience in history for such an event. Trump’s 2017 inauguration ranks fifth in terms of television viewership: More people tuned in for the second inauguration of Richard Nixon, the inauguration of Jimmy Carter, the first inauguration of Ronald Reagan, and the first inauguration of Barack Obama. An analysis of news footage appears to indicate that fewer people attended President Trump’s inauguration than President Obama’s in 2009. The footage on this page was captured 45 minutes before each oath of office. Attendees were still entering the National Mall up until Mr. Trump’s speech. 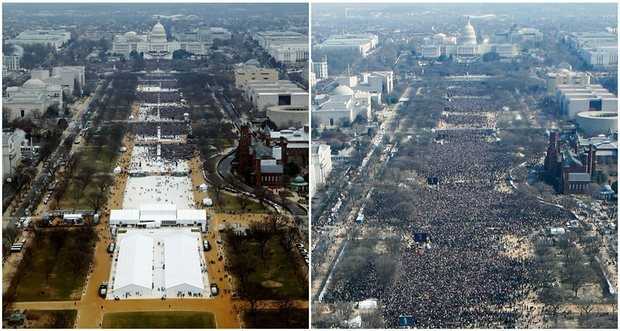 The analysis by Keith Still, a professor at Manchester Metropolitan University in England, estimates that the crowd on the National Mall [in 2017] was about one-third the size of Mr. Obama’s. Although the White House Press Secretary said that Trump’s inauguration saw the “largest audience to ever witness” such an event, no reliable data backs up that claim. Trump’s swearing-in saw fewer television viewers than four other inaugurations and prompted fewer Metro rides than both of Barack Obama’s inaugurations, and an optical analysis conducted by a crowd safety consultant found that Trump’s inaugural crowd size was significantly lower than that of 2009. There are several problems with measuring online viewership. For one, there’s no official body that tracks total views across all platforms. ComScore, a cross-platform Internet analytics company, told us that they did not have data on the inauguration’s online viewership and that they weren’t aware of any other company that would. Another problem is that the way online viewership is measured is different than television. 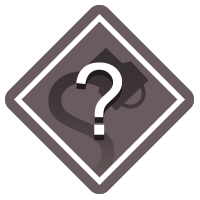 Web sites such as YouTube, for instance, measure the total number of people who click on a video but not the total number who view in its entirety. Nielsen, on the other hand, takes such factors into account before estimating total viewership. 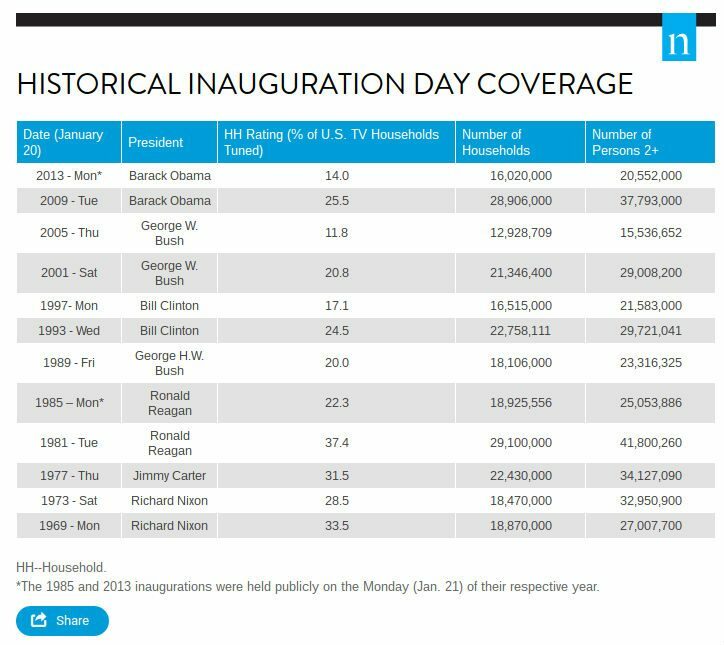 Regardless of the problems inherent with measuring online viewers, Spicer stated that one network (CNN) carried nearly 17 million online streams of the inauguration, and when that total was added to the Nielsen numbers, it was clear that Trump’s inauguration was the most viewed in history. Nielsen and CNN reported numbers drawn from dramatically different methodologies. Nielsen measured average viewers per minute across 12 networks from 10 a.m. to 6 p.m. on inauguration day. CNN’s 16.9 million reflects the number of digital streams started between 6 a.m. to midnight. It does not account for how long a viewer watched or even whether single viewers clicked start multiple times. In unique starts over the same period — number of viewers who clicked start on a video — CNN measured 7.1 million. But number of unique starts is not comparable to number of average viewers, either. According to numbers provided to Variety by CNN, from 11 a.m. to 2 p.m. the network’s digital platforms averaged 1.54 million concurrent streams. That number is more comparable to Nielsen’s, although it measures a three-hour period instead of the full eight hours that Nielsen reported on. Average concurrent streams over a longer period would likely be lower. While Spicer claimed that Trump’s inauguration had the largest audience in history due in large part to online viewership, that data simply isn’t available. And the data that is available undercuts his claim. The “official” crowd size measurement for Donald Trump’s inauguration is still unknown, but even President Trump’s personal estimate (he guessed that 1.5 million people were in attendance) is below the 1.8 million mark estimated for Barack Obama’s first inauguration in 2009. The Guardian. 22 January 2009. The Washington Post. 21 January 2017. The New York Times. 20 January 2017. The Washington Post. 21 January 2009. The Washington Post. 22 January 2013.